"Had the best breakfast at Cannon in Ottawa st, Hamilton." Guillermo Del Toro really loves Hamilton, Ont. The director, who is currently shooting the film "The Shape of Water" in the city, recently tweeted about his love for the local food, shopping and art scene. "Hamilton is full of promise and surprises: great bookstores, Antique shops, coffee shops, restaurants and art stores. Crimson Peak land," the 52-year-old "Pan's Labyrinth" director tweeted. Hamilton is full of promise and surprises: great bookstores, Antique shops, coffee shops, restaurants and art stores. Crimson Peak land. 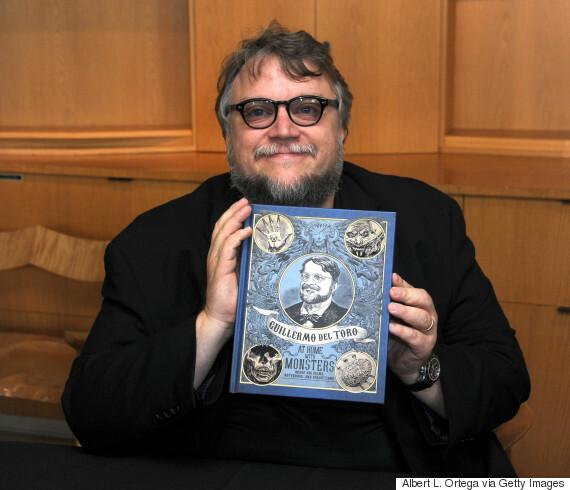 Guillermo Del Toro book signing for 'Guillermo Del Toro: At Home With Monsters' held at LACMA on July 29, 2016 in Los Angeles. He even ate an amazing Canadian brunch at Cannon Coffee Co.
"Had the best breakfast at Cannon in Ottawa st, Hamilton. The Canadian brunch plate. Best, fluffiest, chewiest fresh-made waffles ever!" Had the best breakfast at Cannon in Ottawa st, Hamilton. The Canadian brunch plate. Best, fluffiest, chewiest fresh-made waffles ever! The Canadian brunch is made with waffles, cheddar cheese and, of course, bacon. I know there's a Seedy side in Hamilton- but you can feel a transformation from the last 5-6 years (we scouted for Pac Rim) to now. Broke for dinner. Had Luscious soup and salad at The Burnt Tongue, here at Hamilton, On. The hammer! On Tuesday, del Toro ended up at both Southern Smoke Barbecue House on Ottawa Street and Papa Leo's Restaurant for brunch. Southern Smoke BBQ in Ottawa st- great pork popcorn! And solid brunch at Papa Leo's!! Hamilton, Ontario. @RealGDT Thank you for coming into @ssbbqhouse & we're glad you enjoyed our butchers popcorn. He finished his day by heading to a bookstore and gallery. Bought some arcane volumes in James st Bookseller and Gallery in Hamilton! Now I am arriving to set, besieged by 70 kmh winds!! And of course, in true Canadian spirit, the director was welcomed to the city with open arms and a ton of responses on Twitter offering restaurant suggestions. Even the mayor, Fred Eisenberger, extended the welcome.